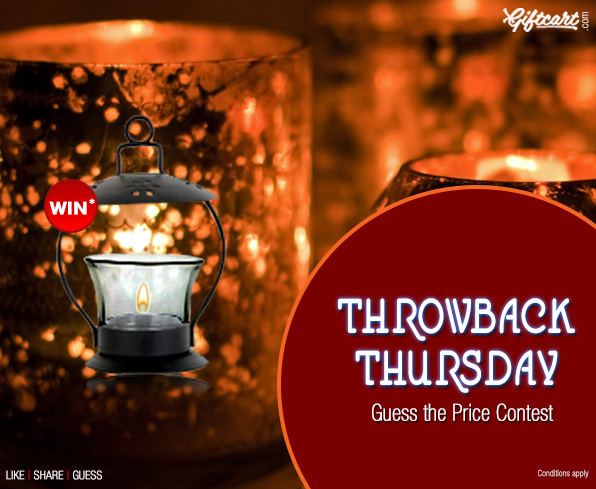 #Throwback Thursday – Guess the price Contest! Once again it’s Facebook Giveaway time at Giftcart.com. If you think you can price like a pro then enter our contest and stand a chance to win this weeks Facebook giveaway – a stunning tea light stand. Best Guess” of the item price. Nearest guess below or equal to the actual price wins – if your guess is closer but higher, it does not win. Hurry! Contest ends January 19, 2014.